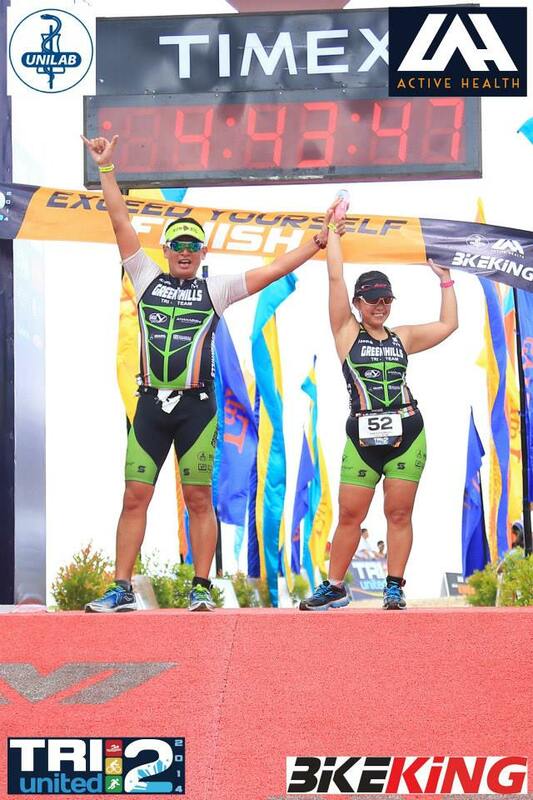 I’ve been putting off writing about my TriUnited 2 experience but only a few days before Cebu IronMan 70.3, feeling down and frustrated, it would be the perfect time to reminisce finishing the longest triathlon event I’ve joined to date. The event will be held at Laiya, San Juan Batangas. I’ve heard horror stories about Laiya’s deep and wavy waters. So different from Subic’s calm shores. And at 2k, this will be my farthest open water swim. This is my main concern. I know I can ride 60k with no issues, maybe run majority of the 15k. Will I survive the swim? 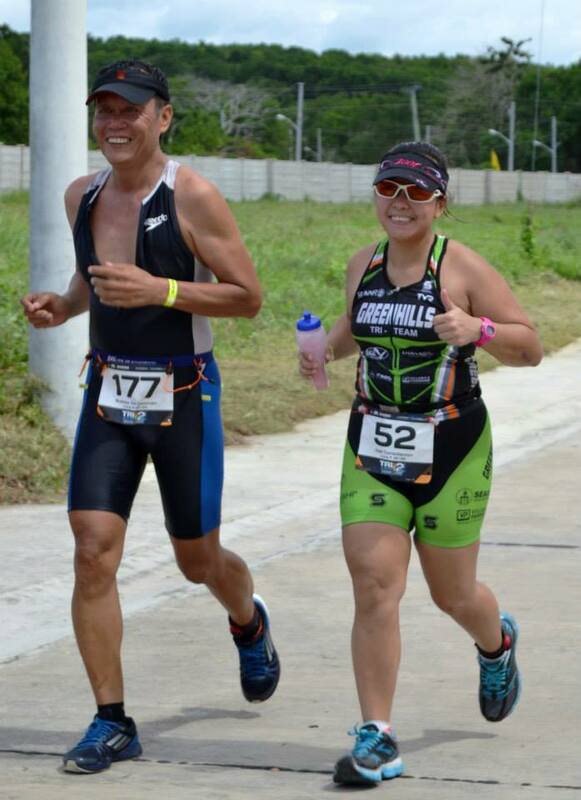 A few days before the event, Coach Nonoy Basa made me do a 2k time trial. I can do it in the pool. I shouldn’t have a problem repeating it again. We shall see. We arrived at Playa Laiya around 3pm, heading straight to the event for packet claiming and bike check in. Benefit of not being too early – no lines. We were in and out within 10 minutes. After hearing mass, I attended the race briefing. It was actually the first time I’ve ever attended one. Kuya Kim Atienza was invited to share with us the weather forecast. I didn’t know habagat meant southwest monsoon. He shared that there will be light to moderate rain during some of the bike and the run portion of the event. Great! After some raffle prizes were given away I headed to La Luz where my teammates and I were staying. Fast-forward to race day. Since we left our bikes at the event, I just brought a bottle of water with me to fill up my hydration bottle. I filled it only half way since it seemed that the ride won’t be a hot one. I thought to myself – filled up Speedfil equates a heavy load. Boy, that was one bad call. Just like TU1, I was part of the 1st wave. We were allowed to warm up a few minutes before gun start. 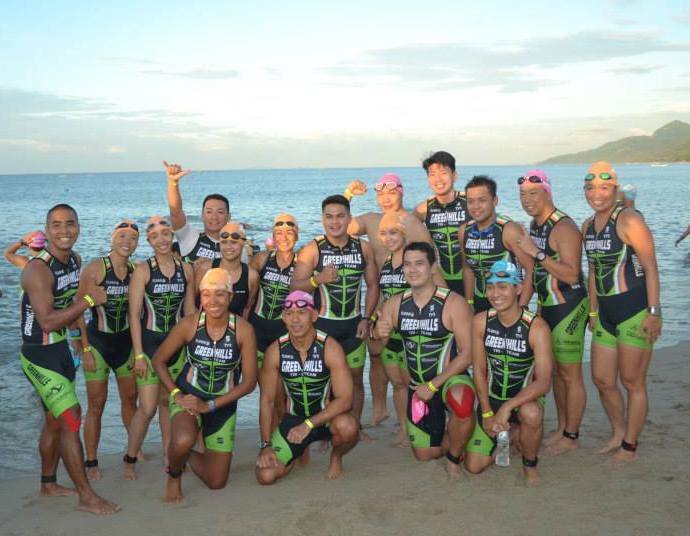 I noticed that the waves were swelling and prayed to God that I would be able to finish the event without any issues. 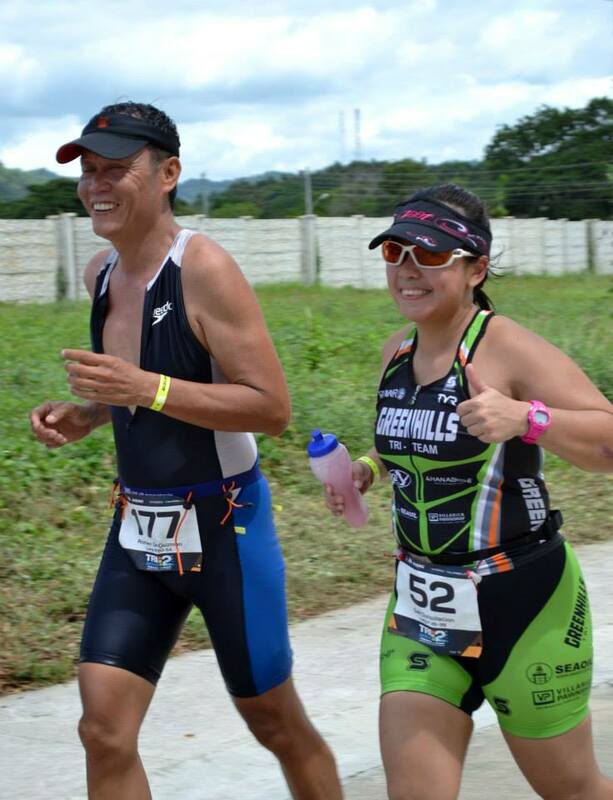 As advised by Coach Nonoy Basa, always start wide, away from the swim line and work your way in. That was precisely what I did. As soon as the gun went off, I slowly made my way towards the water to start my swim. The first 50m was difficult. I felt nauseous from bobbing up and down with the waves. I positioned myself to the far left of the swim line and after 100m or so, moved towards the swim line where I saw some triathletes holding on to the line and using it to propel themselves forward. Wow! Seriously? Too early in the game people! I moved past them until I reached the orange buoy that marked the first turn. This would be the longest part of the leg. I was enjoying the swim, feeling the water, concentrating on my stroke. Looking down, I could see darkness, abyss…and then an image creeped into my mind….a huge shark with its jaws appearing from down there. Eeep! I swam faster. There they are again, I saw three more triathletes, propelling themselves forward. I thought to myself – I must be really slow in swimming for them to be able to do that and still be ahead. Haha! Every time they would see someone swimming beside them, they would release the line and swim again. Geez…talk about feeling guilty. Finally! Another buoy! I turned right swam more and turned right again. We were suppose to make a letter P. Straight, right, right, right and a left towards the shore. Easy right? Nothing is easy. Sighting was an issue because the sun was right in front of us. So I decided to draft behind another swimmer. Tough luck. I ended up getting lost because the person in front of me was lost too. Haha! I swam towards a bunch of swim caps and found my way back. Ended the swim in 59 mins! Took longer than expected. I was 54 mins during my pool TT. Wash feet, wipe, bike shoes, helmet, shades, race belt, bike. And off I go. My favorite event. Every time I bike I feel free. Happy and free. I took note of the organizer’s instructions to keep right. Since the roads are narrow, it is imperative for us to keep right unless to overtake. I had to overtake several times but I made sure that I move to the right as soon as possible making sure that it’s clear. I saw a few bikers not following basic road protocols. They stayed on the left even if they were not overtaking thus blocking the path of fast bikers and the elites, leaving them no choice but to cross to the other side to overtake. Tsk tsk…. The sun was out and it was a hot and humid ride. My nutrition plan was to take an energy gel before the bike ride, two during and one right after. When it was my turn to take another gel, I realized that I ran out of water. I still had 10k to go so I decided to stop at the hydration station, refill my bottle and take my gel. The hydration station was after an uphill climb from the port and was located at a slightly incline position. Confident of my dismounting skills, I didn’t bother to find a flat surface to dismount. Big mistake! I lost my balance and fell to my left. Argh! Since my fall was a slow one, my shoe didn’t even unclip and it was still attached to my pedal. People rushed to help me up but didn’t also know how to my left foot out of the pedal. We struggled a bit to get me into an upright position but nothing worked. I ended up removing my foot from the shoe. Now that did it! One of the race marshal asked me if I wanted to continue. Oh yeah! And he noticed a seemingly fresh wound on my arm. I told him that was from 2-3 weeks ago. He laughed. I guess they realized that I fall a lot. Haha! I continued on and prayed that I won’t fall again. Finally the dismount area. I’m almost there. 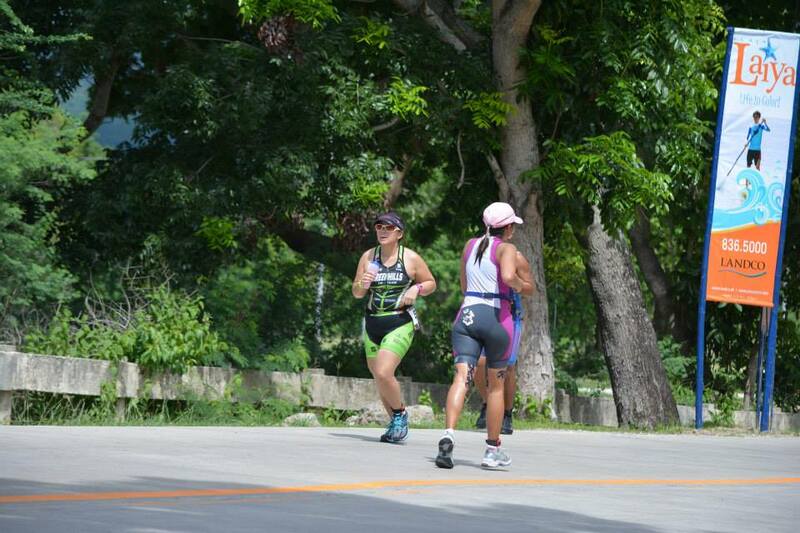 I saw my “classmate” Eunice at the transition area. I told her to rush and get ready to run. Bike up, helmet off, bike shoes off, socks on, running shoes on, grab gels and filled up hydration bottle, switch race bib to the front. 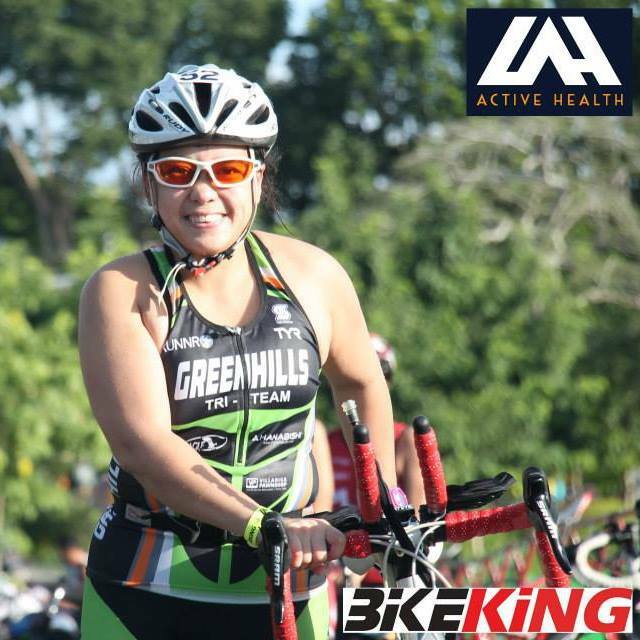 I’ve always been comfortable running from bike to run. Heavy legs were of no issue to me. Since I don’t wear my Garmin, I didn’t know my pace. I relied on feel, counted my steps, breathing just breathing. I stopped only when I’m at a hydration station to have a drink, take my gel. I was enjoying the run. I’ve a funny story to tell. I started this sport as a runner so I am very much aware of simple running etiquettes especially how you are suppose to grab a drink from hydration stations. No sudden stops. Move at the end of the station. Grab drink at the end of the table. In my case, I grabbed a cup, took it with me at the end of the table – AWAY from all the other cups that had water, placed it in front of me while I open my gel to consume it. While I was in the process of consuming my gel, a triathlete grabbed the cup that I was placed right smack in front of me. Of all the cups on the table, he grabs mine which was on the other end of the table, the only cup on that side of the table. Oh well! I screamed well muffled because the gel was on my mouth “That’s mine!!!”. 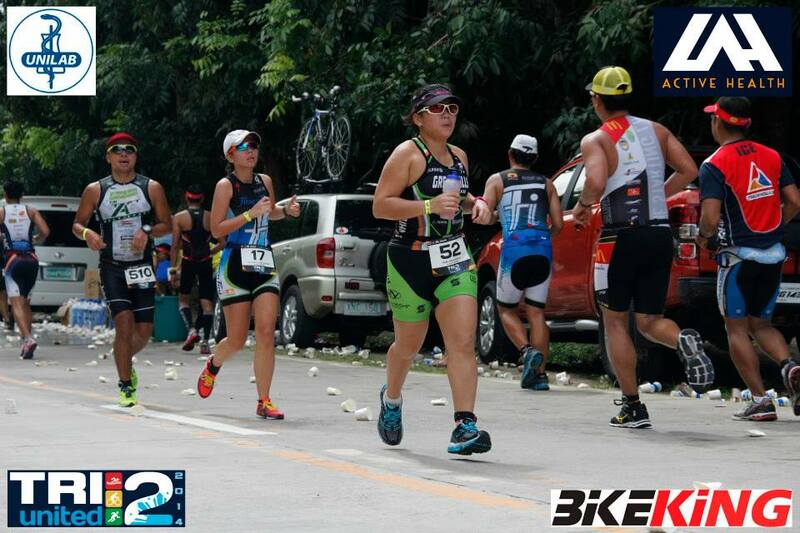 The athlete looked back, realized his mistake and screamed, “Pakibigyan sya” to the volunteers. Hahaha! Classy. Real classy. After laughing with the volunteers. I thanked them and went my way. I love running because it is something familiar. I also get to chat and see old friends, cheer on other athletes and pose for photos. You can’t do that during the swim and bike legs. While I was happily going my way, a male runner decided to pace with me because my pace seems to be slow enough for him. I didn’t mind the company so I agreed. Finally my last loop. I was so tempted to walk portions of the route especially the hills. Oh the hills. But I kept on going. I didn’t even stop at the last hydration station as I was really excited to cross that finish line. In order to get to the finish line, we must run along the beach. I kept on stumbling and close to falling so I just decided to walk until I reach a more stable part of the beach. Finally the chute to the finish. I ran and gave it my all. FINISH!!! I screamed YES!!! Thank you Lord! As I was about to step down from the finish line, I hand grabbed me from behind. It was my teammate Doc Erick. Yehey! We posed for a photo together before heading down. 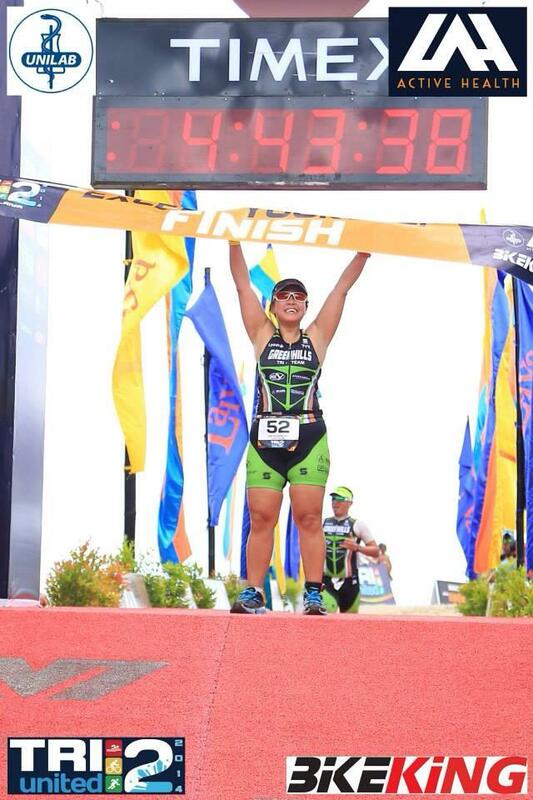 It was an amazing feeling finishing a 2k swim, followed by a 60k bike and 15k run. I was in Cloud 9! 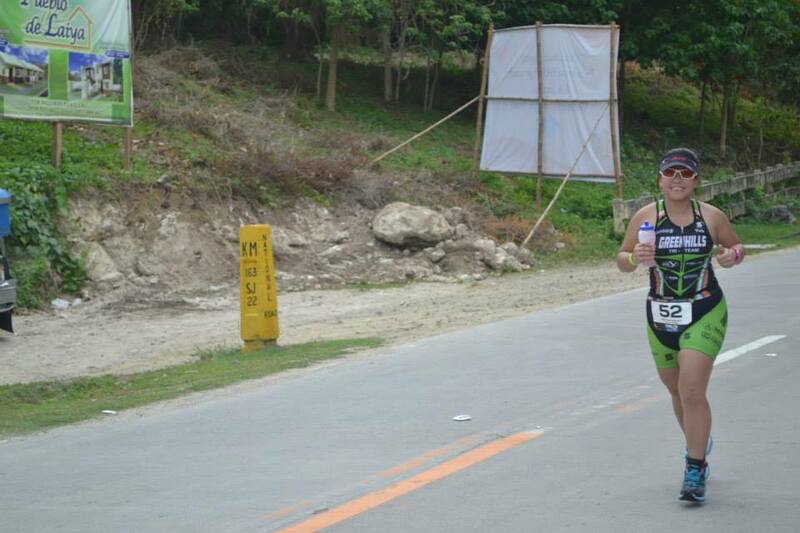 After crossing the finish line, I looked for Maridol and my other teammates. I was starving. Ineng’s barbeque always hits the spot and I’m so glad that I get a meal for free after each TriUnited event. Free Razon’s halo-halo was a definite plus. I ate with my teammates while waiting for Noy. As soon as I saw him cross the finish line, I can’t help but be the proud wife that I am. With him by my side, everything is possible. Or rather, would him waaaay behind me during races, everything will be fine. Hahaha! 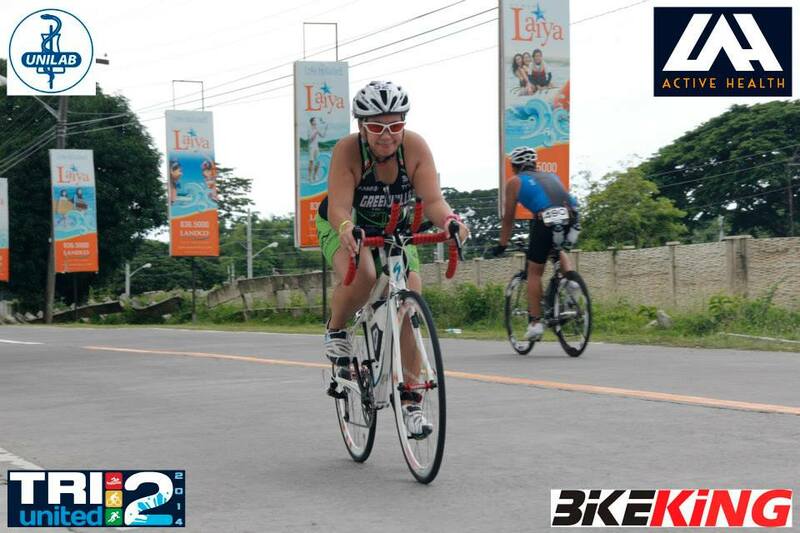 CEBU IM70.3, HERE I COME!! !